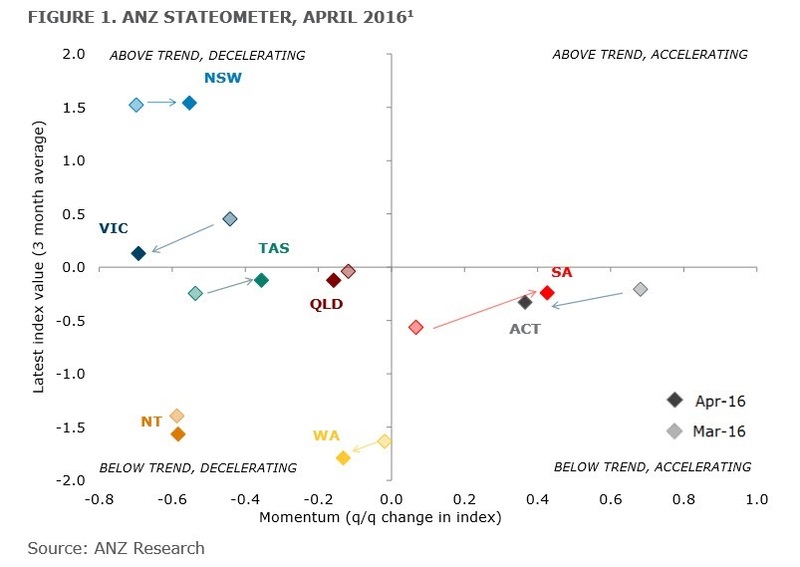 Momentum in the east coast economies continued to slow | ANZ Stateometer. The ANZ Stateometer, which measures economic performance across the states and territories, continues to highlight the uneven economic growth across the country. 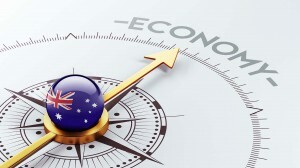 New South Wales remains the top economic performer according to ANZ’s Stateometer. The Stateometer suggests the Victorian, Queensland, and Tasmanian economies are growing at close to trend rates. The South Australian and Australian Capital Territory economies continue to recover, with momentum improving in SA. The downturn in mining investment continues to weigh on the Western Australian and the Northern Territory economies, where growth remains well below trend. 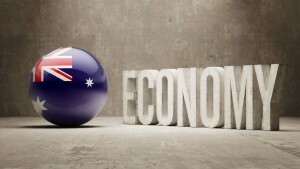 The ANZ Stateometer, which measures economic performances across the states and territories, suggests that momentum in the east coast economies continued to slow in April. As noted previously, some slowing is unsurprising as it follows a strong run-up in economic activity over the second half of 2015. 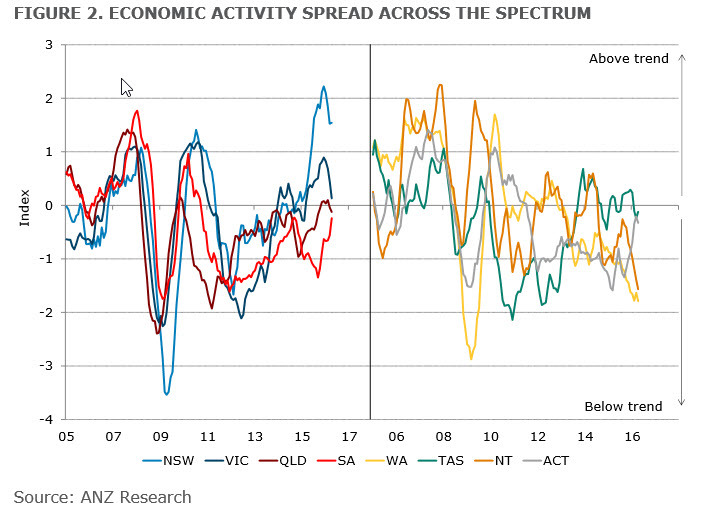 On balance, the trends remain positive: economic activity across the east coast states are close to (Victoria, Queensland and Tasmania) or well-above (NSW) their respective long run averages. New South Wales continues to drive the national economy, with economic activity remaining well above trend. After peaking in Q4 2015 (at the highest level on record), the NSW index has declined somewhat over the past four months. That’s largely been driven by some slowing in labour market indicators and a deceleration in the pace of expansion in the property market. In Victoria, the recent slowing in momentum has been driven by a softening in the property market and a slight easing in consumer spending. Retail and motor vehicles sales were strong contributors to growth over the second half of 2015, so some easing in growth is unsurprising. Looking forward, solid population growth and tightening labour markets should continue to support household confidence and spending. Interestingly, net exports picked up in both NSW and Victoria, with service exports (especially tourism) leading the gains. 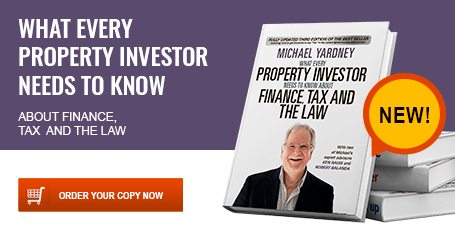 Economic activity in Queensland is now expanding at a rate of just below trend. A lower drag from falling mining investment, combined with a sharp pick-up in property activity, and a solid contribution from tourism, have been key to supporting growth. The easing in momentum over the first few months of 2016 largely reflects a slowing in labour market indicators. Economic activity in Tasmania remains close to its long run average and has slightly improved over the three months to April. Tasmania continues to benefit from strong growth in tourism – which has boosted sales and business confidence. Western Australia and the Northern Territory economies remain in contraction as their resources sectors continue adjusting to the downturn in mining investment. Resource-related weakness has spilled over into broader softness in (for example) housing activity and consumer spending. The recovery in South Australia seems to have picked up steam. The SA Index now signals the economy is expanding at just below trend growth.